These days, meal replacement shakes are gaining increasing popularity as they are convenient and are designed to suit individual needs. If you have the time, you can make your own homemade meal replacement shakes with whole foods. But, if you are pressed for time, you can certainly buy some great products that are available on the market. 1. Slim fast is one of the popular brands on the market. Their meal replacement shakes are designed to satisfy hunger, provide nutrition and curb appetite for hours. 2. Shakeology is a premium health drink and one of the best meal replacement shakes on the market today. It contains a combination of super foods, enzymes, prebiotics, vitamins and minerals. It is available in chocolate and greenberry flavors. 3. Lean Body for Her is a Labrada brand drink that is especially formulated for women. One serving contains about 200 calories and 30 grams of protein. Mix it with weight loss foods such as fruits or vegetables for extra calories, fiber and vitamins. 4. Eas Advantedge Rtd (French vanilla flavor) offers about 200 calories and 17 grams of protein. It contains 20 vitamins and minerals. 5. Naked Protein shake can keep you full for 4 hours. It packs 38 grams of protein and 6 different types of fruits. This shake can be a great addition to your 500 calorie meals as one container packs about 500 calories. 6. Beach Body meal replacement shake has great reviews from its users. It contains the right amounts of nutrients. 7. Prograde Lean boosts your metabolism by thermogenic effect of food. One serving packs about 38 grams of protein and 8 grams of fiber. 8. 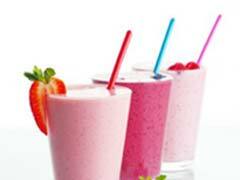 Stony Field Farm offers best shakes and smoothies for weight loss for yogurt lovers. One 10-ounce container provides 250 calories. 9. Bolthouse Farm’s Perfectly Protein shake has about 320 calories and comes in coffee flavor. Contains much needed vitamins C, B12 and B6. 10. Kellog’s Special K protein meal replacement shakes are designed to help you lose weight. Join their Special K challenge and lose about 4.8 pounds in two weeks. You can buy these and many other meal replacement shakes in our store below.